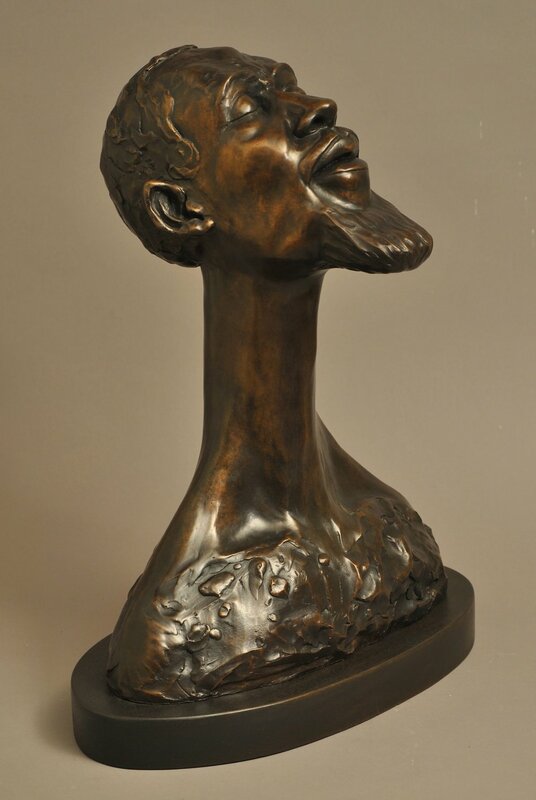 This sculpture is a bronze portrait of jazz sax/flute/bass-clarinet player, Eric Dolphy, who was called saintly by his peers. A gentle soul who died at the age of thirty-six due to illness, his music was adventurous, soaring, and intense. In this portrait, I use the elongated neck and upward tilt of his head to convey the disembodied, mystical, spiritual feeling that one can attain while playing music. But this piece also addresses the attainment of spirituality, and a closeness to god, in general.